This is “Star Wars in Real Life” from my ongoing series “Disney Characters in Real Life”. 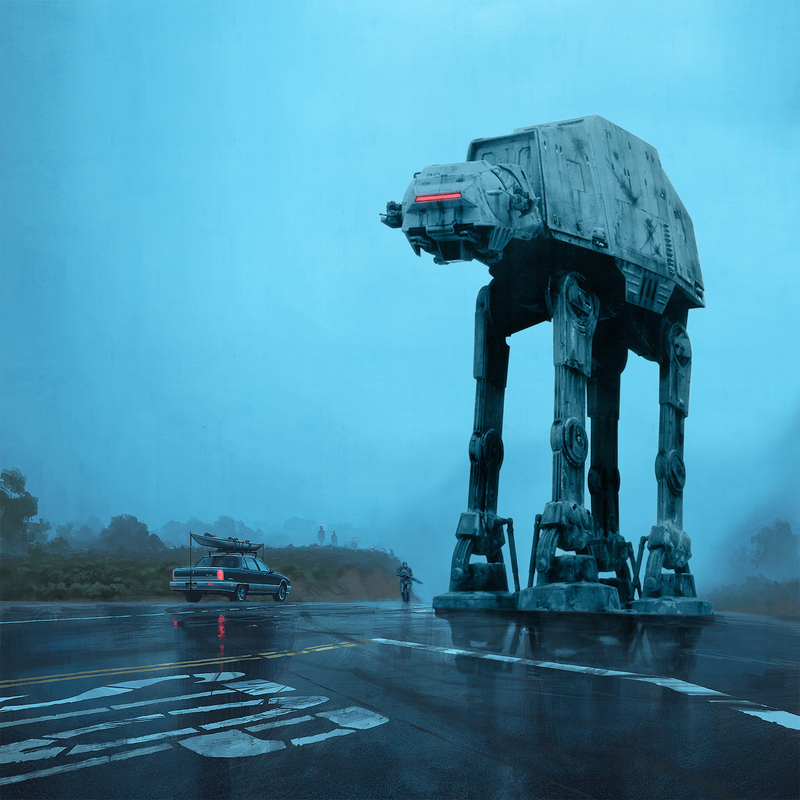 This is a photoshop remix I made by compositing in the AT-AT Walker and Rouge One Stormtrooper into a scene created by sci-fi artist Simon Stalenhag. He makes paintings mostly set with a dark and gritty dystopian tone, featuring post future landscapes and characters filled with some creepy, but awesome looking robots.